You’ve had a busy couple of weeks, perhaps months. Maybe you’ve been working on something else. 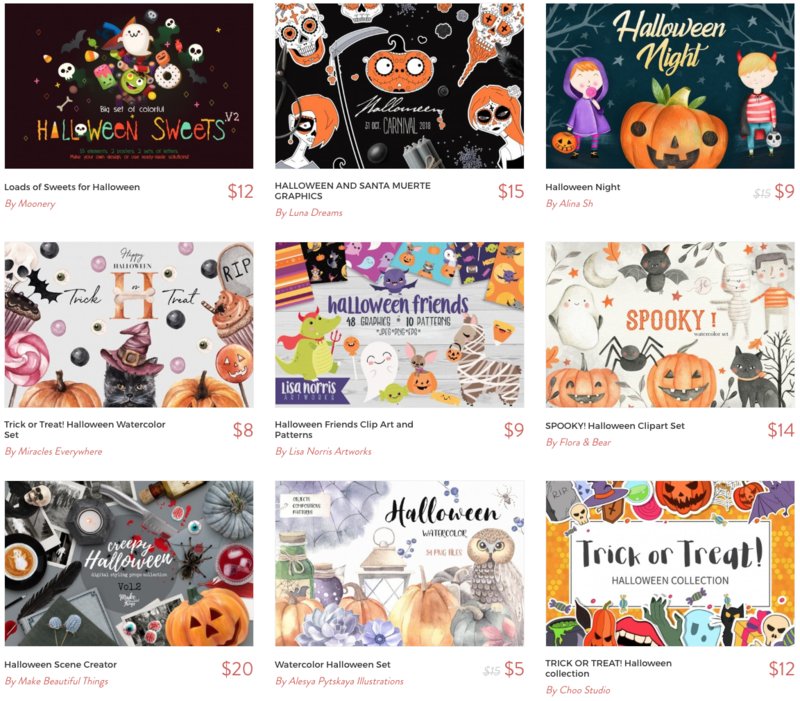 And all around you in stores, cafes, and even your local grocers, your eyes have been seeing nothing but grinning pumpkins, smirking black cats, makeshift cotton cobwebs, rubber spiders, and plastic skeletons (at least, we hope they’re plastic…). Also, the amount of candy and chocolate on store shelves have been seeing an increase, right beside the bubbling cauldron and the cashier wearing a witch hat. He must be sweating under that, you think inwardly, as you watch him bag your groceries. Why is he even wearing it, you wonder as you slide the cash over the counter to him. It’s Halloween! Your mind snaps to attention as your heartbeat quickens. The chorus to Tim Burton’s Halloween Town blends into the cacophony clicking around inside your head like a broken record. You stand frozen in place as your palms start to get clammy. The equally sweaty cashier asks if you’re alright. The cashier exchanges a loaded look with the next person in the queue behind you. You grab your groceries and barrel out of the sliding doors to your parked car. As you pull into your driveway, the realization that your place is the only undecorated one on the block fills you with dread. Your first answer is for him to pull an old white sheet over his skinny frame and join the classic ghost movement. But it’s 2018, and your son has grown out of old sheets. Your son heaves a deep sigh gathered from somewhere around his knees and slams the window shut. You feel a strong, growing urge to pop a Xanax. Maybe down it with some wine. 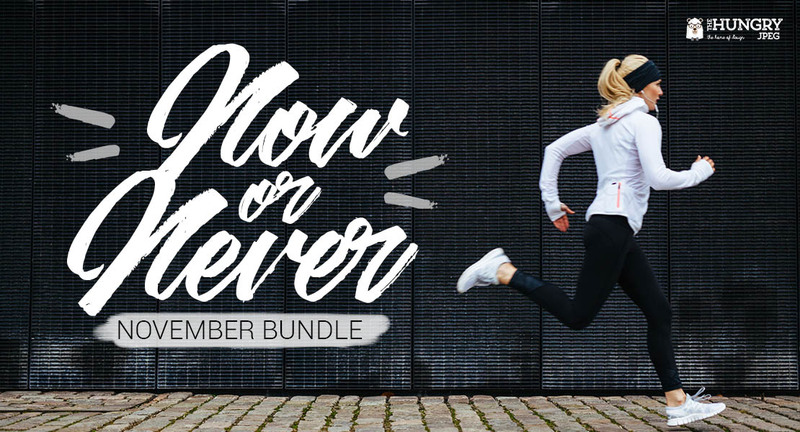 Put those pills away and breathe deep, we got you. (Keep a tight hold on that wine glass though.) 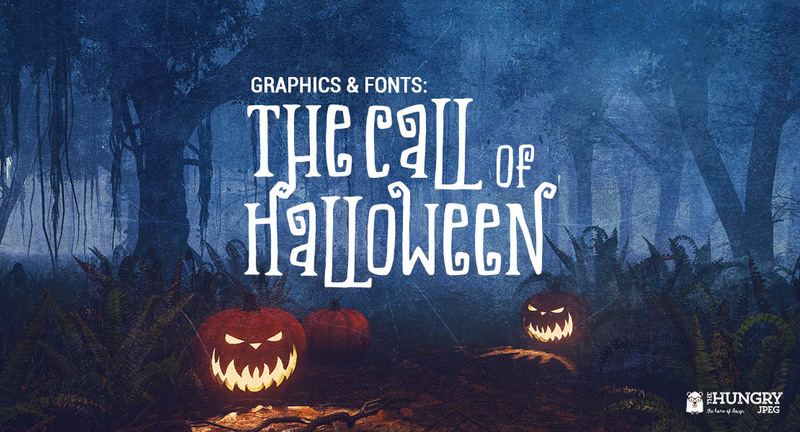 Start browsing our Halloween graphics collection right now. 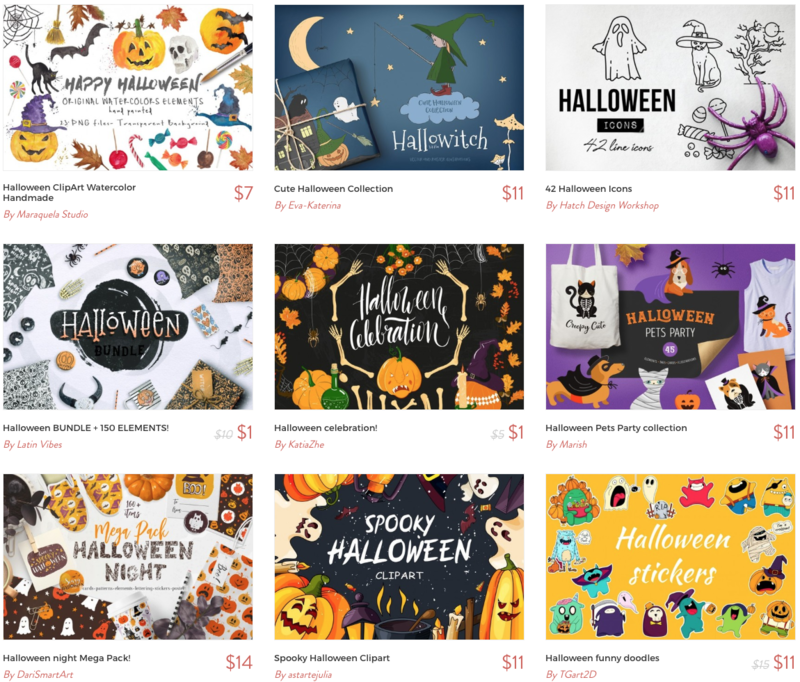 Work these fun, spooky graphics into your cards, wall decal, even stickers – creativity is key. Give Halloween decorating your own twist for a custom, personalized feel, then sit back and cackle as your neighbors look on jealously. 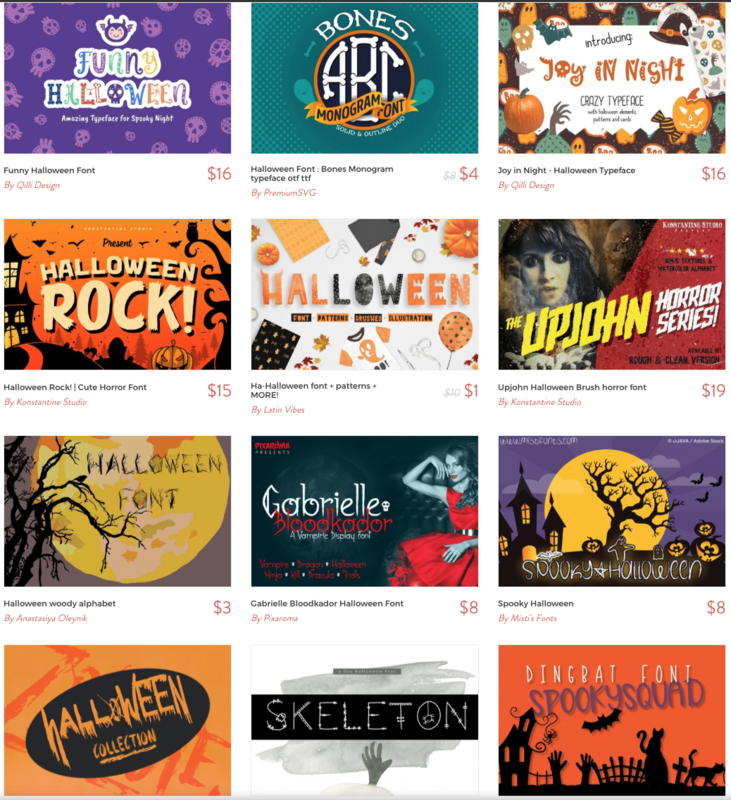 And if you haven’t already, check out our fonts that are perfect for Halloween. 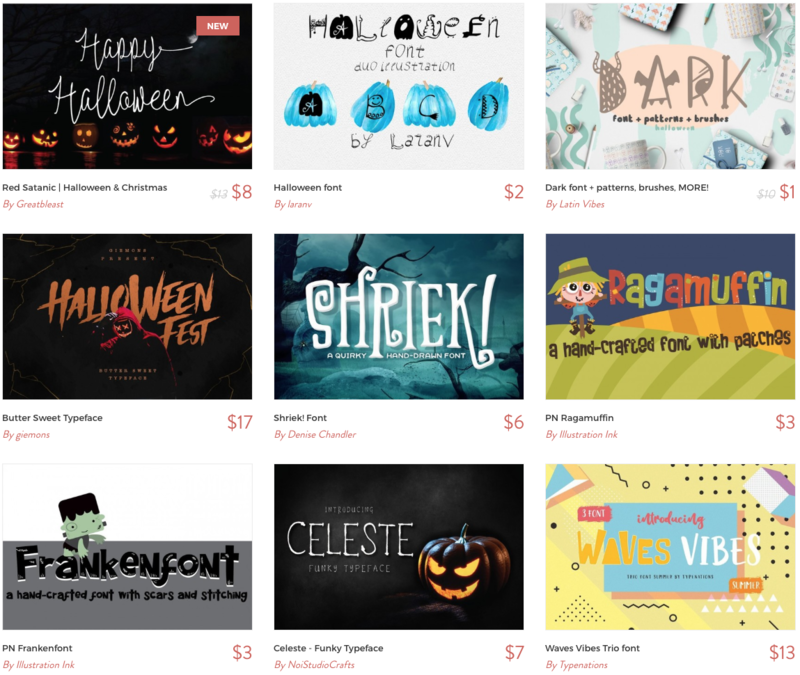 Much like instant noodles, choose our fonts for some quick, fast and easy customized decor for your home space, workspace, or even the space between your son’s brows.